Located in the most central zone of the city, the Victoria Eugenia Theatre is one of the most emblematic buildings in San Sebastian. Loaded down with history, since its inauguration in 1912, the Theatre has born witness to the main cultural events in the city. Its recent renovation has turned it into an innovating stage space, with the most modern equipment and services, whilst maintaining its charm and original characteristics. With 910 seats in its main theatre, it also has several multi-purpose spaces to hold activities related to the dramatic arts. 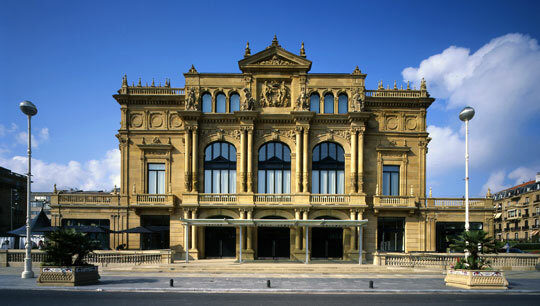 Managed by Donostia Kultura, the new Victoria Eugenia Theatre reopened in 2007.